My husband and I couldn’t resist. We’d gone to the nearby town of Bluffton to the (wonderful!) HighTides Bead Shop – where I couldn’t resist either – and then popped into a few galleries along quaint Calhoun Street. 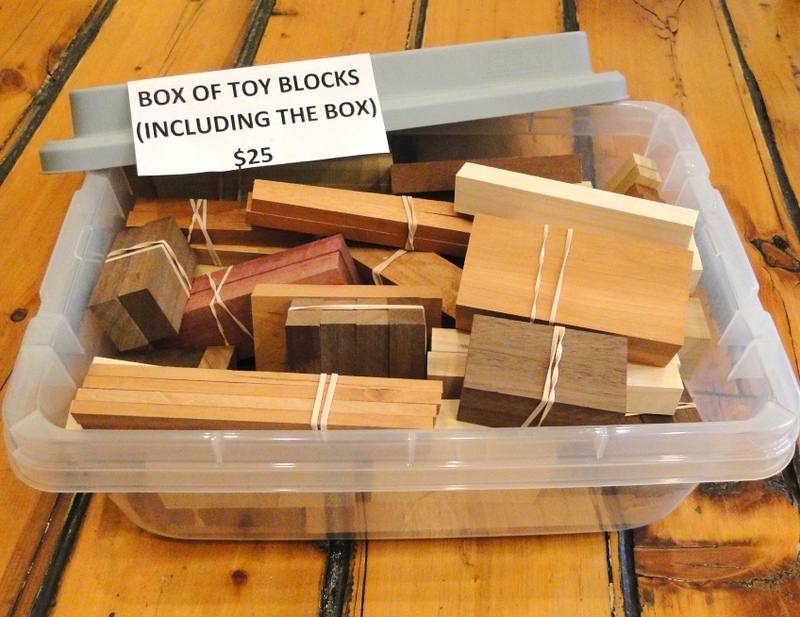 We came home with a box of blocks. 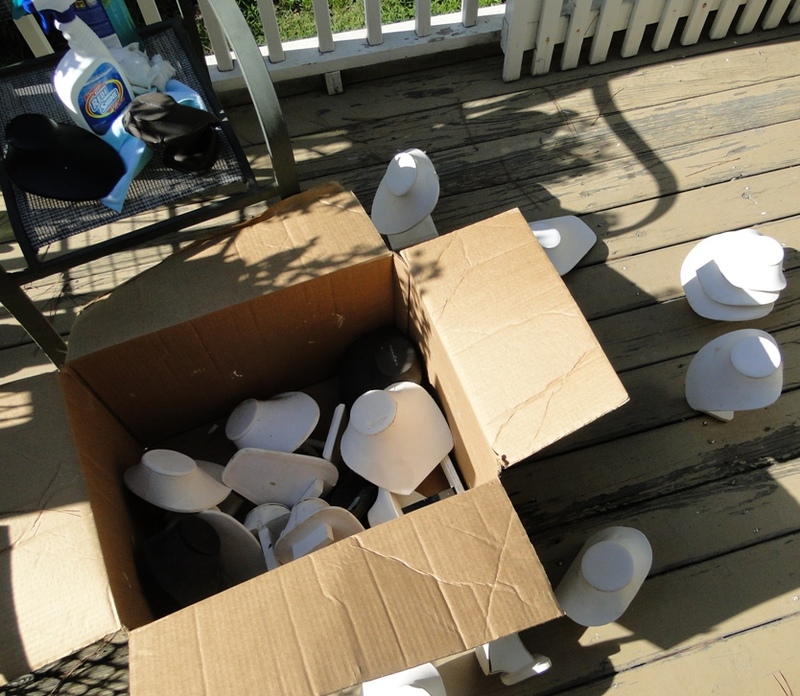 They are the end pieces that an artist couldn’t use, so he cleverly bundled them up and sold them, box and all. Jeff wants to carve some, and I want to use some as “grounds” for art. We have a new box of toys! This has all reminded me of the importance of play in creating. In other areas of life, too. I’d started the summer with a dutiful plan to add jogging to my walking routine – walk/jogging a few miles for two days in a row, then taking the third day off. I kept that pattern for a solid couple of weeks. Until I ended up at my regular neuromuscular massage therapy appointment with a twisted knee in addition to major aggravation to my still-recovering injured neck. So I finally did what I’ve intended to do since moving here to the coast– I bought a simple cruising bike at the hardware store. No gears! No decisions! Granted, it doesn’t get my heart rate up quite the same way as running, but I go farther and actually enjoy it. And a magical thing happens when I climb onto the seat. I become 10 years old. Having grown up in Florida and spending countless hours on bicycles, I really do feel like a kid again whizzing by the water and ducking under Spanish moss. One more box story. This week I dragged a box out from under the house, where I put it a year or so ago. My studio is upstairs in a wonderful historic building smack in the middle of downtown. I walk in and out, most days, via the wooden stairs in the back. The building is owned by a family which runs a lovely jewelry store, and there’s an art gallery and interior design shop there, too. I’ve been known to scavenge the boxes they’ve tossed out back. Maybe I’ve salvaged bubble wrap and shipping boxes. 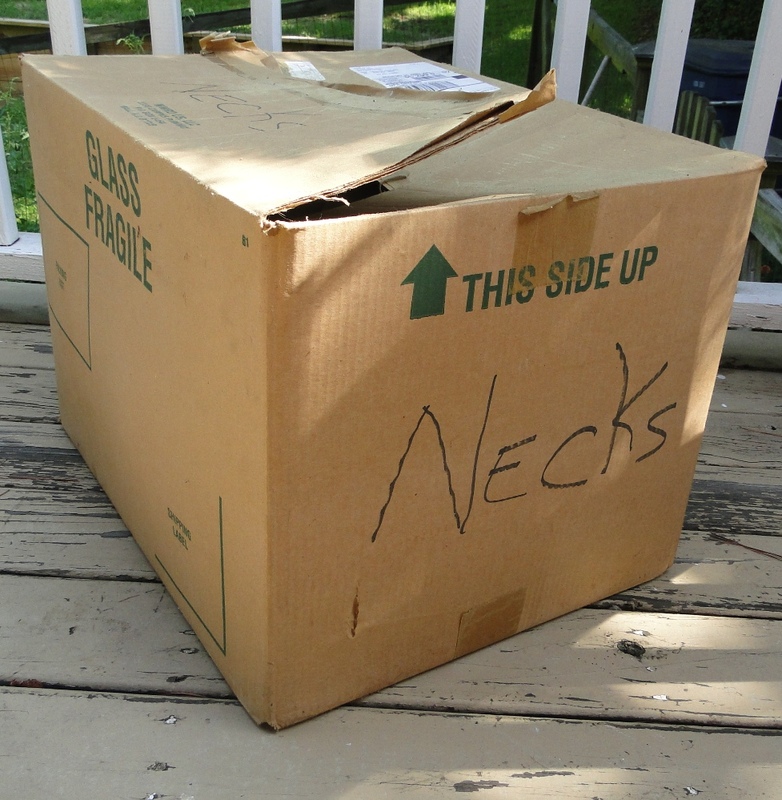 Anyway, right after moving here, I walked down and saw a large box labeled “Necks.” Now tell me, would you have been able to just pass it on by? Me neither. 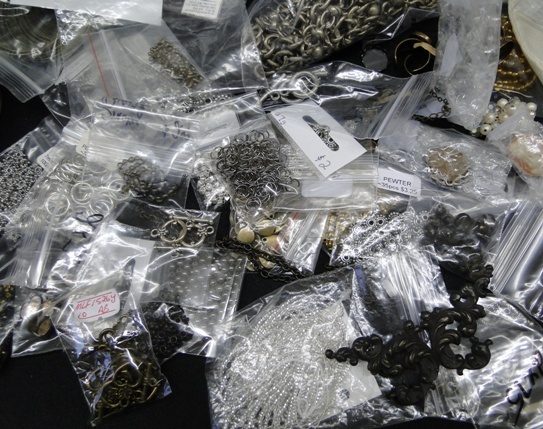 To my delight, it was full of discarded jewelry displays for necklaces. 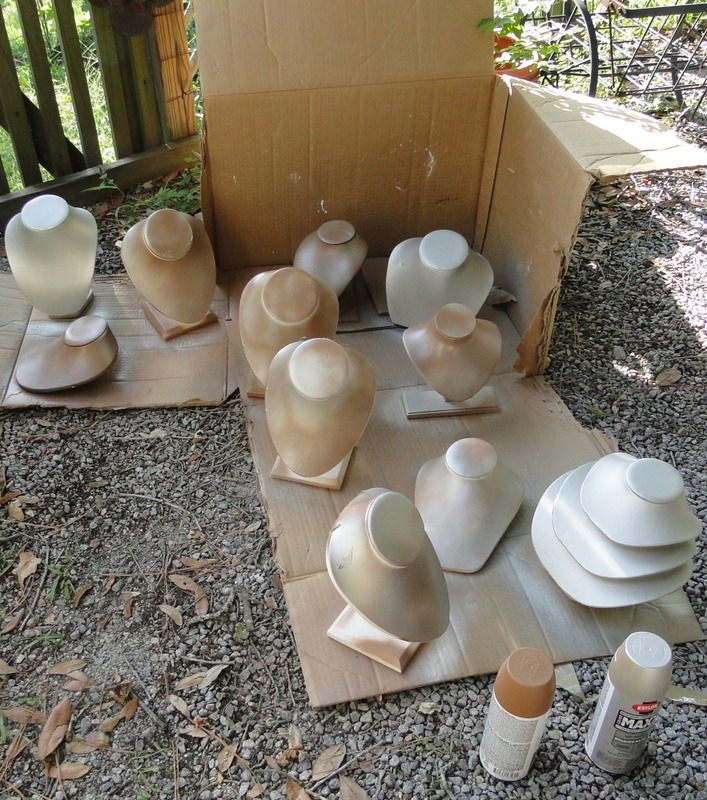 You can see in the pictures that I finally got around to sorting them and deciding some were worth cleaning up and spray painting. Somehow I managed to spray a little paint toward my face. Thankful for glasses. But then I had to go to my studio and find some mineral spirits to get the specks off. It was bright and sunny when I left on my errand, and left my sparkly “new” necks out to dry. But a few blinks later, I was driving back home in a torrential storm. Oh, well – at least the necks will be really clean. I’m finally getting around to making some more adventurous jewelry with typewriter keys. Here are a few examples of necklaces in the works, though I might still add a bit of vintage bling to the chains of the pendants. 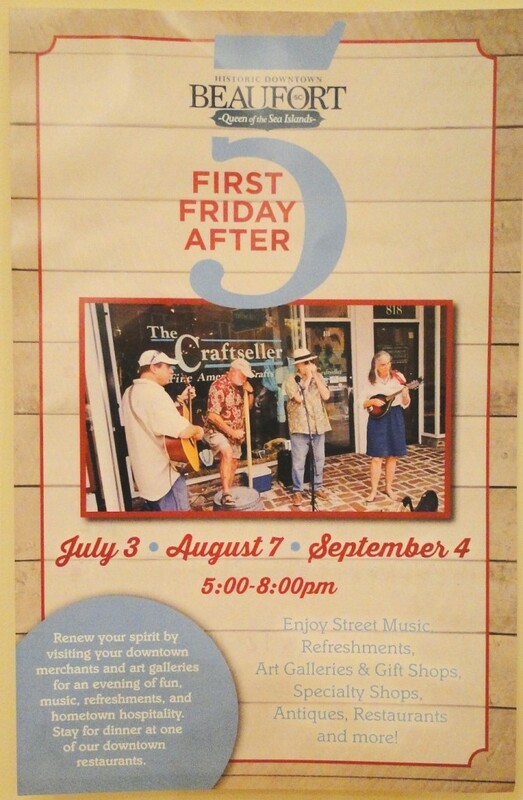 If you’re in the downtown Beaufort area and in a playful mood tonight (Friday), swing by downtown for First Friday After Five. Several galleries and shops will be open with refreshments and such, including my studio. Here’s to a summer full of creative surprises! This entry was posted in Uncategorized and tagged art, Beaufort SC First Friday, First Friday, jewelry, ponderings, studio, typewriter key jewelry by artsyletters. Bookmark the permalink. I love your ingenuity and playfulness! Is one of the shots of the necklaces on a new neck? If so, I am guessing you got them repainted? I’m glad you found a way to exercise that won’t shake you up too much 🙂 ! That little neck display was one I had legitimately purchased and had in the shop. ;0) Looks like some of the others survived the storm, but a few of them succumbed to water and wind. And thanks for kind exercise words – I guess as long as we’re in motion, we’re good! Enjoy whatever activities your summer is bringing. 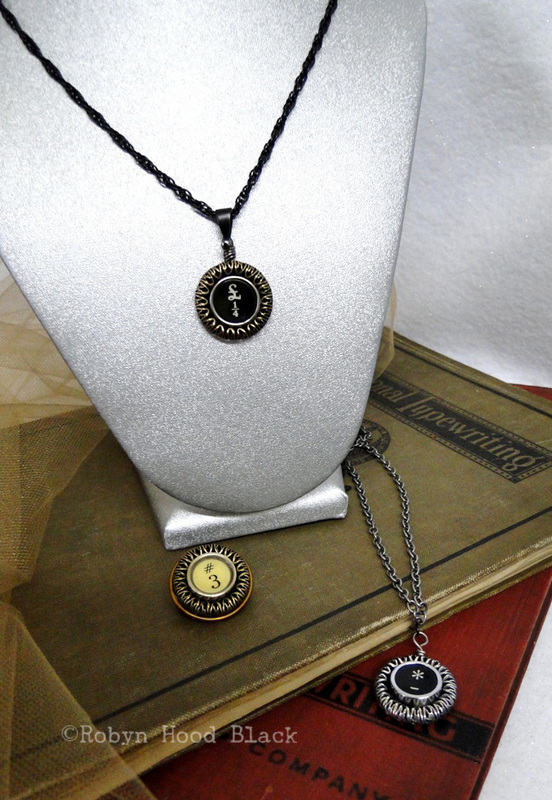 I LOVE the typewriter key pendants! What a fantastic idea!!! Hi there, Scotti! Thanks so much. Coming from you, I’m especially smiling. :0) Happy creating this summer! You are such a delight! Of course you had to nab a box of necks! 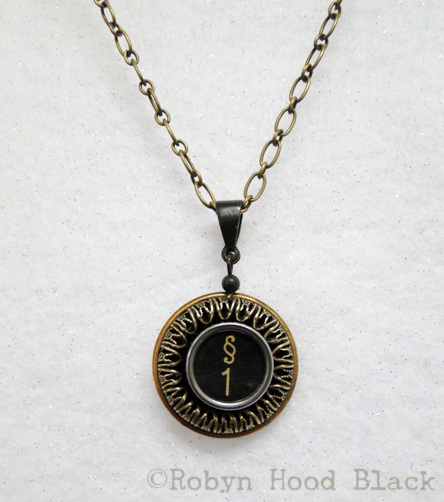 I love the typewriter key necklaces — perfectly charming. 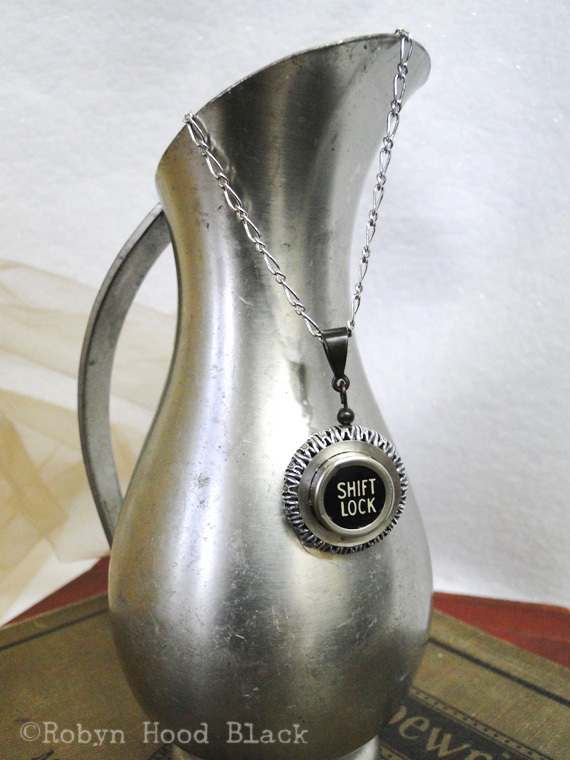 I said to myself, If I wear a “shift lock” necklace, can I pretend I’m talking IN ALL CAPS, especially when I’m exasperated? Thanks for this peek into your world. And I’m totally jealous of your bike!! I’ve thought about buying one, but fear the gravel road we live on would be the end of it. I clicked over because of the “necks,” as you knew I would. All I could imagine was chicken necks, eew. I need a more out-of-the-box imagination! 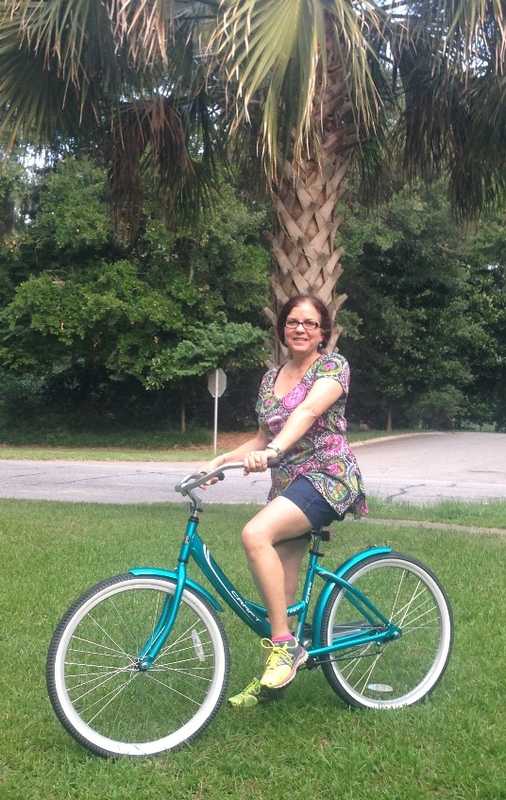 Have fun on your bike–I love the color! Even the color of that bike makes me feel about 10 years old. I think the other color choice was pink, but I went for that snazzy blue-green. Thanks for visiting! I hope to buy a bike this summer, too, & you’ve inspired me, Robyn! It’s so fun about the ‘necks’. Now I’ve learned something new, have never heard the term, but then I’m not a jeweler. Have fun with all those blocks, too, and your necklaces are lovely. Must visit the shop soon! Linda, thanks for clicking over! I kept putting off getting a bike – occasionally borrowing my son’s uncomfortable and way more high-tech one, but I’m glad I finally just did it. Like several others, I had to know about the necks! And I love the typewriter key necklaces. They would be perfect gifts for my book club. Do you have an Etsy shop? Oh, we LOVE St. Augustine! And I’d love it if you make your way back here, too…. :0). Plans are in the works for a new museum highlighting the Spanish folk who landed here even before St. Augustine. I know, a heretical thought to Floridians (I grew up in Fla.). But St. Augustine will always have the distinction of being the oldest continually inhabited settlement in the “new” America. (Disease and native populations shut this one down for a while!). ;0) Thanks for coming by!